With a short trackrecord Pf and DScore can be more volatile, I never said DScore is the holy grail, but I can say it is much better than classical return and drawdown. With a small sample all the scores are unreliable. BTW Ex isn't a coefficient, it is used as a cap : with Ex 5 your max DScore is 50 . I want to conclude here my last discussion with @OldSchoolPT . DScore can be improved but it will never be an indicator of seriousness and professionalism of the trader. It is just a smarter way to rate a trackrecord. BTW noob investors tend to look to Return, darwins are ordered by Return. Return is the first number after the name of the darwin, and after Return they find Drawdown, DScore is the third number. A noob and lazy dreamer doesn't want to waste time to understand DScore or single rates, and the lesson is always learned the hard way. Hello! I am sure, this question has been asked, but I can´t find it...? I am very happy with the performance of my strategies, but very unhappy with my D-scores. Although i don´t see a need, to change my strategies, I´d like to improve my investable attributes. Is there something like a "How To", that explains, what to do, to improve the single attributes? What annoys me the most, is the incredible low "Ex" on my Darwin NIB , which doesn´t move a bit. Or did it even just fall? I know the description of the attributes, but they don´t help me. have you watched Darwinex videos ? The Ex score represents the statistical significance of your trackrecord, this means Darwinex algos need a larger number of trades. Also your Darwin is very young. The La score is very low. My advice is to find a way to close losing trades earlier and let winners run a bit further. Not easy, I know. La is not so important and it is strategy-dependent. If your strategy beats the market with long stops, stay with long stops and do not ruin something that works. When Mc Rs and Pf are good the only thing to do is to keep on and grow Ex. Ex is the most important score and acts as a cap for DScore, with Ex 2 your DScore can't be higher than 20. @Aimak you can read about weights in this discussion. Thx guys! Yes, i will not change a working strategy, the more, as my Darwin is the exact mirror of my trading I do in my main account. And I´ve seen, that even minor changes can have desastrous consequences.. Sometimes I think Darwinex has stil a lot of room for improvements. D-Score is probably the core of the whole Darwinex system. When I see examples like the one I am about to mention, I believe it is important to work on it asap. I am a big fan of Darwinex system, and I want to believe in the D-Score. I´ve been told many times that it is proven the higher D-Score the higher probability of good results. So, what D-Score should I have to qualify this darwin, 44 or 72? We are talking about the same darwin, and only a few days are separating one score from the other. Darwinex staff, does it make sense to you? @CavaliereVerde I know you are also a big fan of D-Score (as I am too), what´s your thinking about it? For my opinion D-Score 72 is too high for this Darwin. D-Score 44 was with a profit of less than 3 % increasing his max. DD significantly until April 16th, now it is more than 25 % profit, but with a max. DD of nearly 25 % increased less than 4 weeks ago. I could accept it more if the Darwin would be more than 2 years old, but also his current DarwinIA ranking of 3 shows that DarwinIA is not a good template for investing, as it never was. I don't have any objections against this Darwin, and the recovery is great, but the recvery of the evaluation on D-Score is too fast. Yes DScore is volatile because Perfomance algo is quite volatile. Another thing that miss in DScore is a real measure of consistency of trackrecord. If you change strategy the penalty is negligible, and there is no penalty for darwins that suspend trading for many weeks like this FOF. This time they worked on balancing Os Cs and La , next step should be to design a true consistency, actual R+ R- are useless. Fully agree, because they are only looking for patterns as described and not for consistency. 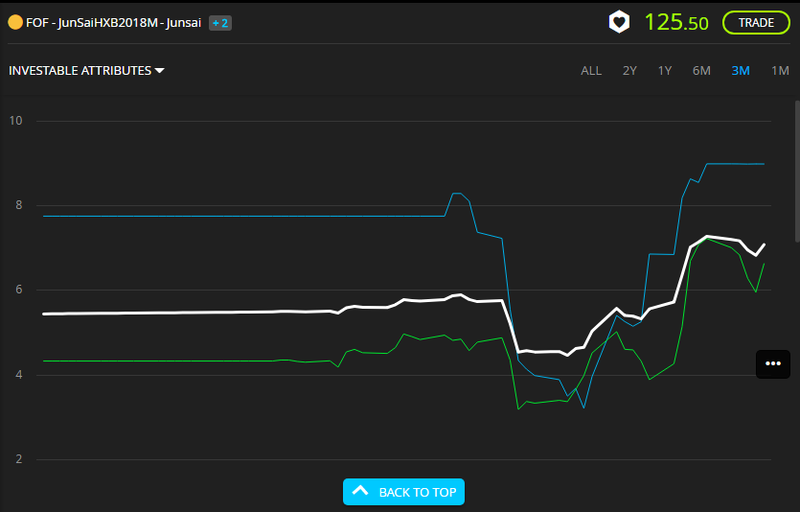 FOF had won its DarwinIA allocation of 70k in November 2017 with a D-Score less than 70 and a profit record of less than 6 %. I don't remember whether November was a tough or an easy month, but I'm sure it happened in line with the old rules. If it is really wanted to reward recovery with a high bonus this way without regarding recent DD, it is okay. But when I'm looking at this example chart, recent max. DD is not evaluated and a profit/DD ratio is also ignored because of the increased DD it must still be less than in November last year. I'm sure I'm not the only investor looking at these figures besides D-Score an IAs. Edit: and if you look at the trading account of current no. 2, the Darwinex risk manager did a really great job .. Yes investors tend to concentrate a lot on past DD and often they invest above average or overfitted stuff. DScore is much more useful than past DD . past DD must be watched if you want to set a SL as I always do with SL 15% from my entry price. D-Score is NOT sufficient if it ignores a significant increase on recent DD. Max. DD made in 2016 or elder is not relevant anymore (my opinion). A a significant increase on recent DD can easily be seen with the developement of the Pf/DD ratio which is not implemented in D-Score. Manipulation is only possible before migration, that's another point ..
BTW my previous comment was general not related to FOF. Tomorrow I will concentrate on FOF and its DScore volatility. Yes, with a Consistency atribute the D-Score volatility could be reduced. 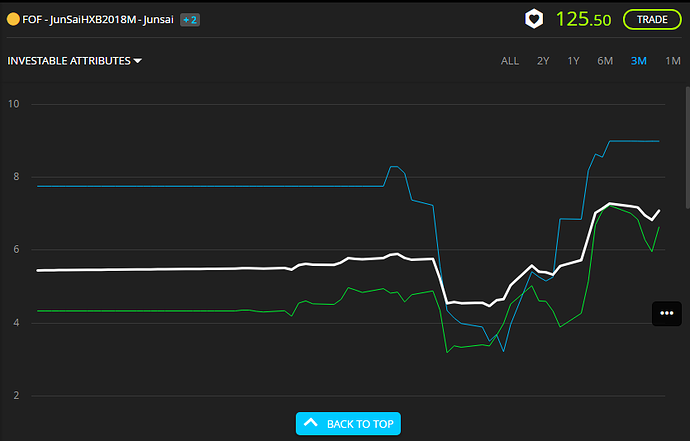 As @Journalist has said you can not trust Darwinia like a guide to invest right now. But I am not sure what is Darwinex looking for with Darwinia (beyond motivate and reward good monthly performance of loyal darwins). There is a new D-Score just implemented yesterday, hopefully it works better. Otherwise Consistency atribute could be a solution, or averaging the last three months...could be a solution too. Here we have the reason why FOF 's DScore has been very volatile. New DScore depends on La much more than the old. Dscore is highly correlated to Pf and La . La has a lookback of only 3 DPeriods and tend to to be very sensitive for values between 2 and 8 . So what I understand is that with 2 trades someone can boost his Dscore by 30 point. It depends on what is "in" and "out" of sample regarding the "calculation timeframe" of each attribute. In the case of La, it takes into account last 3 periods.